Time after time it has been said that seeing is believing. While this statement does ring true, a more accurate version may be that experiencing the feeling of a location leads to greater understanding and believing. This past week in Central Europe has been a whirlwind of rediscovering history. 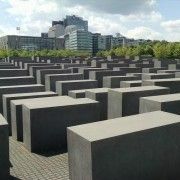 Like so many others, details of the Holocaust had been buried in the back of my memory. I know the story but the impact of it had been overshadowed by more recent events in history. 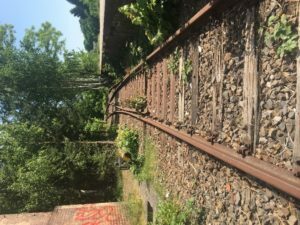 Visiting Gleis 17 (Track 17) and touring Auschwitz-Birkenau reawakened my understanding and shock of the Holocaust. 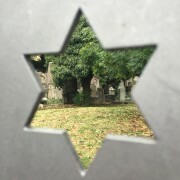 Gleis 17 is a small, quiet memorial hidden behind trees in an upscale neighborhood. At this location 50,000 people were forced to purchase a ticket and board trains to be sent away. Left behind were their homes, families, friends, careers, hobbies, and lives. At this platform families stood together with only a small bag of luggage unsure what their fate would be. To keep some semblance of peace and order, guards claimed the Jews were just going to be resettled to the East. Some were rightfully uneasy and fearful. Others held onto the hope that perhaps they were heading to a better life than they faced under Nazi rule inside Germany. Throughout the 1930s, the Nazis had enacted dozens of anti-semantic laws intended to dismantle and destroy the lives of Jews. These laws, known as the Nuremberg laws, stripped German Jews of their citizenship and left them with little protection, dignity, money, and comfort. Exhibit 1: Gleis 17, Memorial Platform. May 29th 2017. Driving up to this site, I was wholly unaware of its importance. When studying the Holocaust, I had failed to consider the impact of a location such as this. It was not until we climbed the steps and emerged onto the track platform that I experienced a rush of emotions. Aside from two people speaking quietly at the very end of the track, we were alone. The sounds of birds happily chirping and bright sunlight glimmering through the lush green tree line was in juxtaposition to the reality of the scene painted beneath my feet. 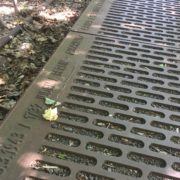 Engraved in each section of the platform is the date of a train departure, the number of Jews aboard, and its destined location. Section after section, the engravings continue and the number grows larger. On March 2, 1943, 1,758 Jews were sent to Auschwitz. The following day– 1,732. There are two misconceptions important to understand when considering this memorial and the Holocaust. First, not everyone leaving this train station was heading to Auschwitz. Some were sent to ghettos, “show camps”, or other death camps. It was not atypical for someone to be first sent to a ghetto and then eventually sent to a death camp. In route to the destination, many also lost their lives. Train cars were filled beyond capacity leaving little room to breathe and no bathrooms or food. Second, the Nazis did not only target those of Jews faith or descent. Hundreds of thousands of Poles, Roma and Sinti, homosexuals, Soviet prisoners, and others were also targeted. Exhibit 2: Gleis 17, Track Splits into Two Directions. May 29th, 2017. Standing here and walking up and down the platform, one is faced with an unexplainable feeling of sadness. While these events happened around 80 years ago, the aura surrounding the tracks is full of tension and discomfort. Perhaps, the energy of all of these souls will be trapped in the air for the rest of time. These people and events will not go forgotten. This is a pivotal location where so many involuntarily left their lives. Less than a week later, we travelled to Auschwitz-Birkenau. 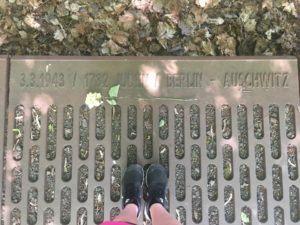 While this was not the only death camp people were sent to, it was the largest. Approximately 1.3 million people were deported to Auschwitz-Birkenau and 1.1 million were killed. Without ever visiting, it is expected that Auschwitz is a powerful memorial. Unlike Gleis 17, which is hidden and relatively forgotten, Auschwitz is widely taught in schools. 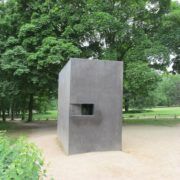 It is a major symbol of the Holocaust. Walking through the infamous gates of Auschwitz I, one is faced with the overwhelming realization that we are voluntarily walking into a place where over one million people had no choice but to enter. At this moment, one must separate themselves from their tourist nature of our visit and experience the camp from the viewpoint of a prisoner. By doing so, the buildings, barracks, and exhibits feel much more haunting and heartbreaking. In Auschwitz I, I was particularly moved by the exhibit filled with human hair. From floor to ceiling expanding the length of a long room, thousands of pony tails are piled on top of each other. We, as visitors, are staring at the only physical part left of many prisoners. At the camp’s liberation giant bags of human hair were found awaiting transport to Germany. The Nazis saved everything that could be recycled or reused. I cannot fathom the mental state of Germans that would possess them to want to own an item made of a dead prisoner’s hair. This is unimaginable and difficult to comprehend. 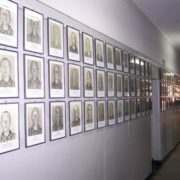 Moving between rooms in a large hallway, we are faced with the prison photos of those deemed fit to work. Looking at their faces, they are filled with sadness, defeat, confusion, and defiance. Below each face is their date of birth, date of entry into camp, and date of death. 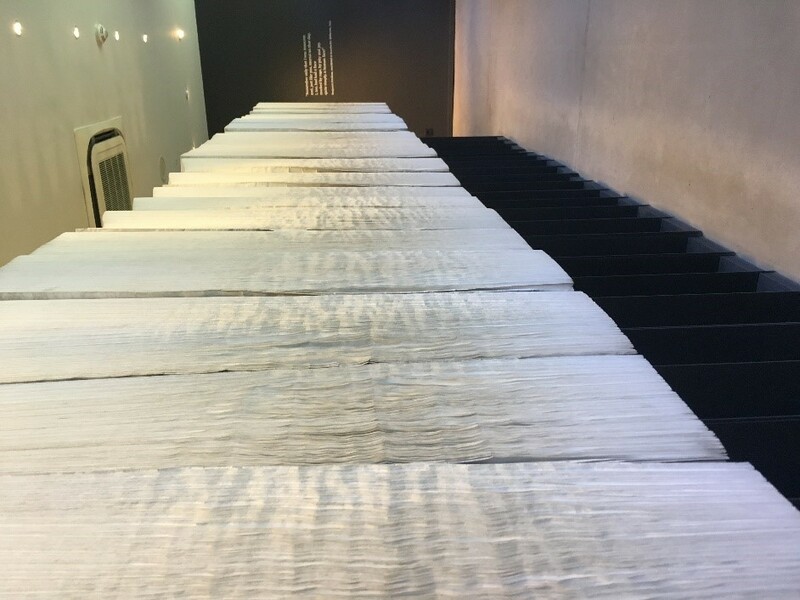 Not far away, is a room filled with dozens of large books filled topped to bottom with the names of the victims. These exhibit, known as Yad Vashem, is a valuable addition to the memorial. 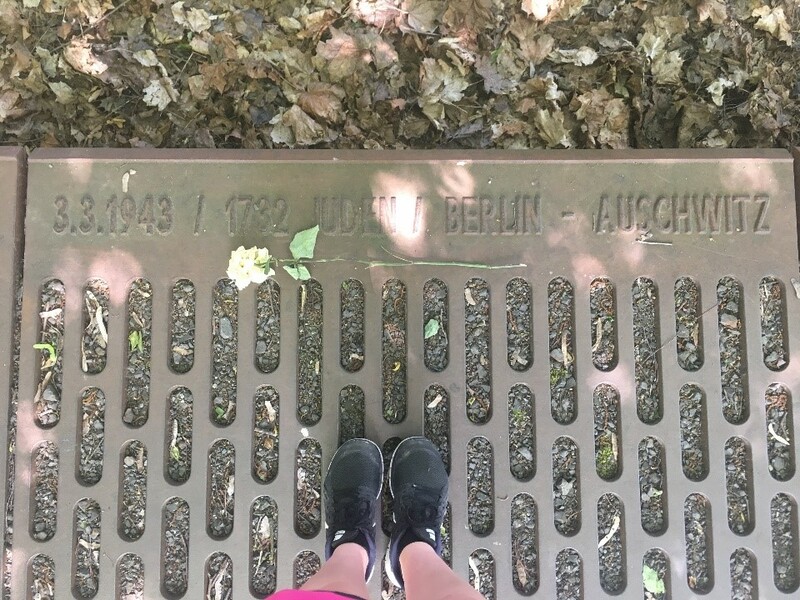 Hearing that over one million people lost their lives here is quite different then physically seeing the endless lists of names of victims of the Holocaust. 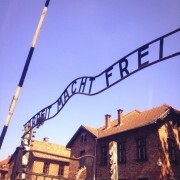 Although taking photos seemed inappropriate at much of Auschwitz, I felt it was important to take a photo here. Exhibit 3: Auschwitz-Birkenau, Lists of Victims. June 3rd, 2017. The sheer number is astounding and seeing the physical manifestation of it puts it into perspective. Auschwitz can often feel unbelievable because my brain cannot comprehend the level of hate the Nazi regime exuded. Exhibits such as this give the victims a name and face which is important. 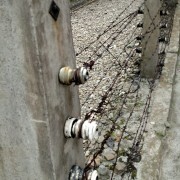 Auschwitz II, Birkenau, is a huge camp. This is location that the trains arrived to drop off their victims. It was eerie standing in this location. Many people lost their lives on the train ride here; therefore, this location stands as the place where many families said their final goodbye to a cold body. It is also the place where fates were immediately decided by the medical personnel. Children, pregnant women, elderly, and those deemed sick were sent directly to the gas chambers. The slim few left were sent to become work prisoners of the camp with little food, water, shelter, or dignity. No words can explain how people must have felt facing this unknown. Learning about the Holocaust in school is pivotal but it fails to paint the entire picture. Seeing photos can add some sense of comparison and comprehension; however, nothing can represent the feeling of experiencing these environments. Gleis 17 and Auschwitz-Birkenau will always be engrained in my memory. Our German teaching assistant, Josefine, introduced us to Gleis 17. One day, while in the area, she accidently discovered this memorial. Afterwards she conducted research to learn more about it. 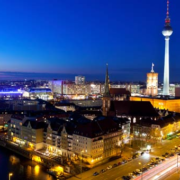 This is interesting to note because she has an extensive background in education and great knowledge on the subjects of German history and memory. As a result, this stands as a testimony to the lack of awareness that exists of this memorial.